Thanks alot for reading,we really do appreciate.Enjoy the rest of the week . Red looks amazing on you! Love this. Great look, i love the colour mix, gorrgeous. That is such a pretty skirt and I love the combination of red and white. Looks amazing… great styling and color palette! Great post! I love your heels! I love your classy style! Nice look. Great post and love your heles. Honey you look stunning. Love the little bold touch by the neon ear-stud. Awesome! Superchic skirt, bag and shoes on you! Love the pop of green mixed with the red! wow, chic look dear!! Love it! So so classy my dear! Love the office look. It it a little playful and that is nice. I'm following you yet on GFC honey! could you please follow me back? Than you!! Great workwear! Love red and white combos. You look great in that pencil skirt. Have a lovely day! Love this combo, cute look. 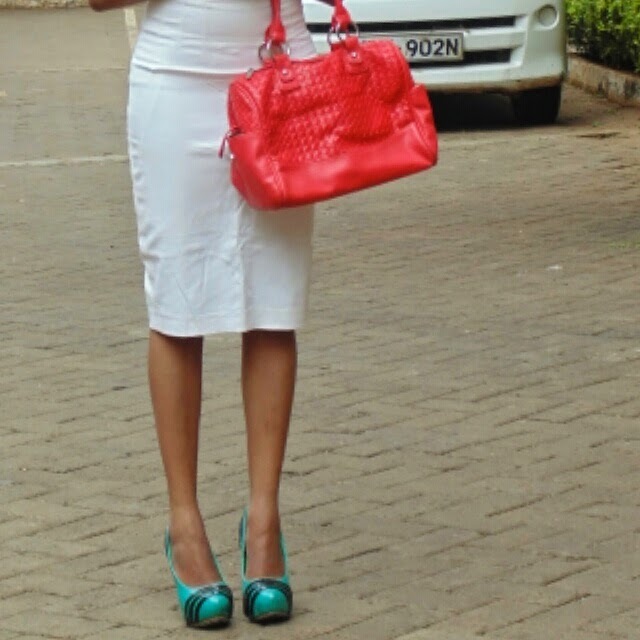 Hun you look so chic in red & white! Love the scarf detail too! You are so beautiful, and the styling is perfect. Love the footwear.